Home / Support / Documentation / RSSearch! / Plugins and Modules / RSSearch! for RSBlog! The RSSearch! for RSBog! 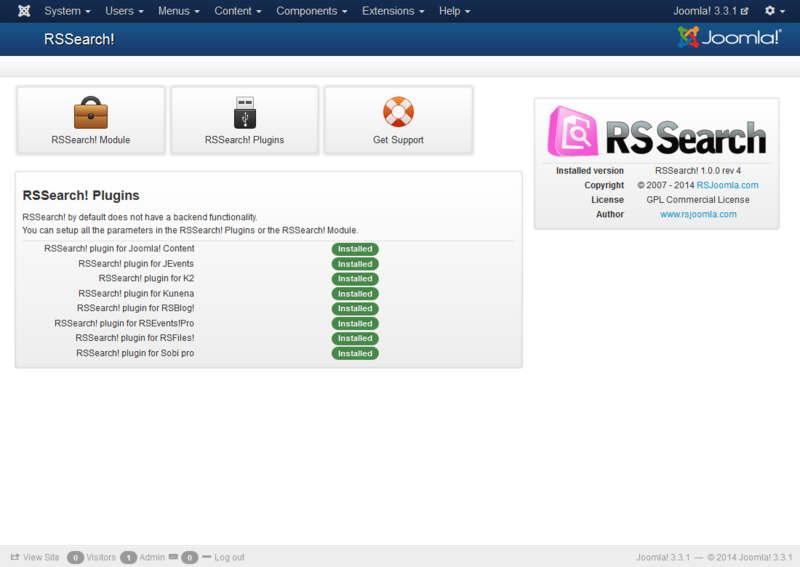 plugin allows expanding the search radius to include information from RSBlog!. This plugin is available for both 3.x. 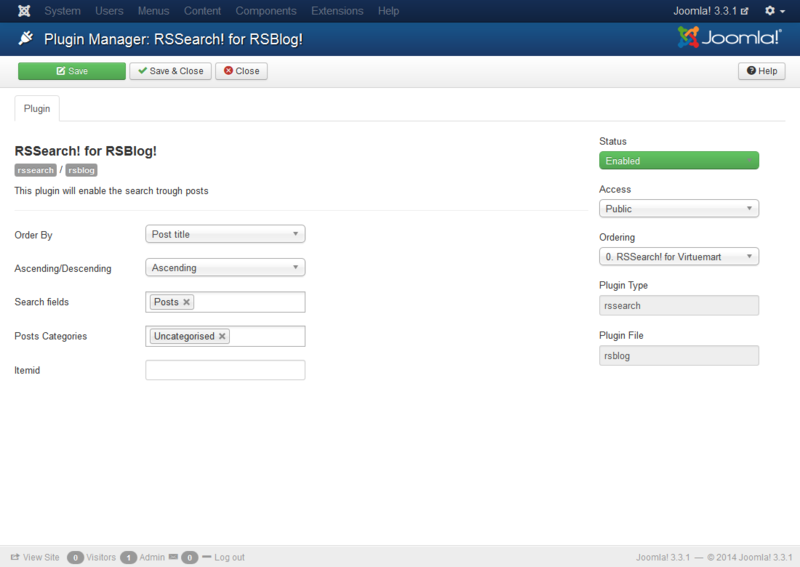 To configure the plugin, head to Components >> RSSearch! and click on RSSearch! Plugins in the dashboard. As an alternative, you can look for the plugin in Extensions >> Plugin Managers and edit it. Important: Make sure to publish the plugin after installing it.